The past weekend saw the Black Widows welcome Dartfordians to Poveys Close, having beaten Dartfordians 84-0 at the start of the season, the Widows were keen to avoid any complacency going into the game as the league results had shown a dramatic improvement in their results as the season had progressed. From the kick off, the Widows looked dominant, stringing together a number of phases together with strong carries from Leanne Chapman and Diana Anderson early in the game. Captain Jenny Weller hoisted a high ball in the air to test the Dartford fullback who knocked on. From the resulting scrum, the Widows drove down the field before Louise Blunt took advantage of weak defence around the ruck to power over from close range, Weller adding the extras. The early score seemed to spur on Dartford as they mounted their own attack, taking advantage of some Widows indiscipline to launch an assault on the Widows try line. Flanker Caz Gaiger was putting in some massive tackles as she drove the Dartford attackers back, however the Widows succumbed to the pressure as Dartford cross the line, the kicker unable to convert. As play continued from the kick off, forward of the match Laini Marshall was delivering a master class in tackling as she repeatedly felled the Dartford runners, with great communication from Sally Hubbard helping to align the Widows backline. As the Widows turned over the ball, Lou Blunt took the ball from the back of the maul, drawing in the defence before feeding to Ghislaine Moolenaar who rounded the opposition to score, Weller again accurate with the boot. As the game progressed, the Widows began to show composure as they soaked up the Dartford pressure with the centre pairing of Mel Bramley and Becky Hollands linking well in both attack and defence. At fullback Dartford were keeping Ella Hubbard busy with a number of well-placed kicks as she looked the run the ball back at Dartford. 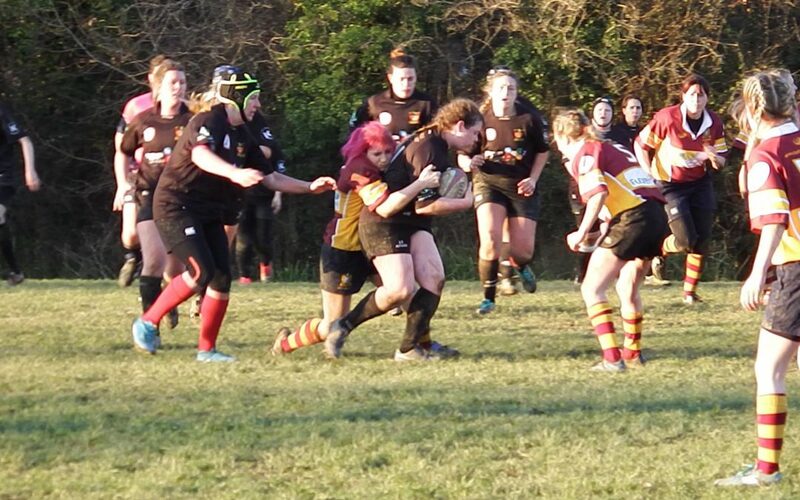 As the Widows forwards attacked well with ball in hand, with Phoebe Hurrell leading the charge, the Widows found themselves on the Dartford 5 metre line, as Shelley Barnes picked from the base of the ruck to power over to score, carrying 3 defenders with her, the conversion narrowly wide. The Widows now more confident with the score opening up began to settle into the game with Lou Skelhorn securing clean ball for the forwards as they set up a maul. The ball found its way back to Lou Blunt who then passed to Weller who looked to pass before changing her angle of running to slice through the defence, stepping around the last player before scoring and adding the extras from the conversion. Going in at half time 26-5 up, the Widows took the opportunity to make some changes, giving some game time to some players from local side Horsham, for some this being their first competitive game of rugby. From the restart, Paula Ridley caught the ball and charged down field sending a number of the opposition flying before setting up a ruck. From that point, the Widows lost focus as Dartford took advantage of the high penalty count to expertly apply pressure to the Widows as the home side leaked a try. 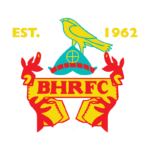 The Ladies from Horsham who the Widows had brought on were acquitting themselves well with some strong running and tackling helping to soak up the Dartford pressure, however another lapse saw Dartford take full advantage to score. The Widows made another change bringing on Lorna Caney adding some more structure to the Widows backline. From inside the Widows half, the ball moved down the line where back of the match Mel Bramley found Ghislaine, who again showed her blistering pace to run three quarter of the field to score under the posts, Weller again with the conversion. The game finished 33-15 to the Widows, full credit to the debutants from Horsham and to Dartford who put up an immense fight. If you are reading this match report and think rugby might be for you, why not get in contact and come give it a try. We welcome ladies aged 17+ to join our fun filled successful team.